PLF Attorney Rachel Thompson becomes the newest Board Member of DePaul Community Resources. DePaul is a nonprofit human services organization that works to improve the lives of children and families through programs such as foster care, adoption, independent living and community-based services. Provisions of sponsored residential homes, group homes, respite and day support services assists individuals with developmental disabilities. Board members and the leadership team help provide a high-quality and sustainable organization for the DePaul workforce to ensure the support of their clients. In 2016, Rachel Thompson was the recipient of the 2016 Allison Parker Young Professional Award to recognize the tremendous work she has done within the community and her embodiment of DePaul’s mission and values. 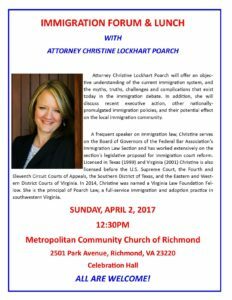 Christine is also a Virginia Law Foundation Fellow and rated AV Preeminent by her peers in Martindale-Hubbell. Poarch Law welcomes Ryan Carroll to their staff. He is the new Marketing and Advertising Manager. He is recent college graduate of Virginia Commonwealth University. 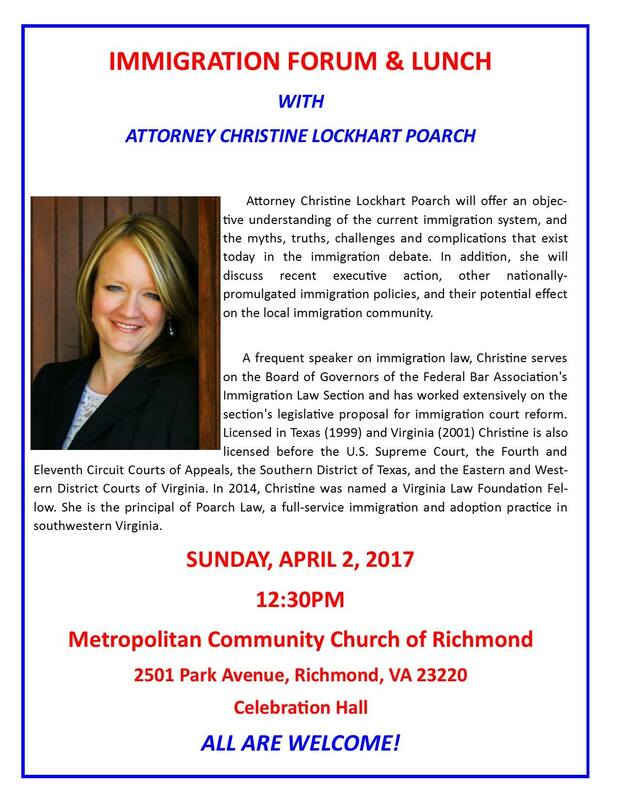 Attorney Christine Poarch spoke at Central Church of the Brethren‘s congregation this morning, April 30, 2017, about why lawful immigration options fall short and to share some important facts about removal and deportation. 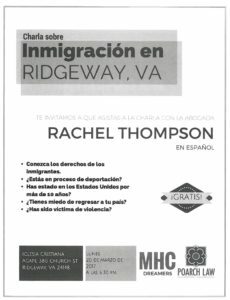 Poarch Law Attorneys Rachel Thompson and Jaime McGuire are giving a presentation on Adoption Law to Liberty University School of Law’s Adoption Law Class this afternoon, April 10, 2016. The results of client matters depend on a variety of factors unique to each matter. Past successes do not predict or guarantee future successes.